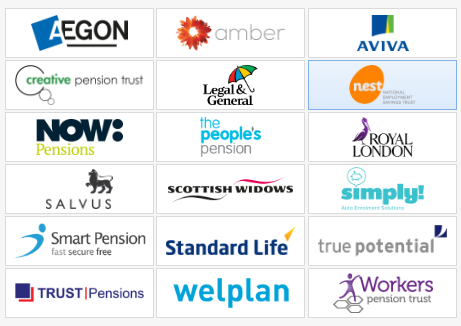 The following guidance is specifically designed for users who have registered with NEST (National Employment Savings Trust) for their AE qualifying pension scheme. Please note: this guide should only be used after setting up your pension scheme with NEST. 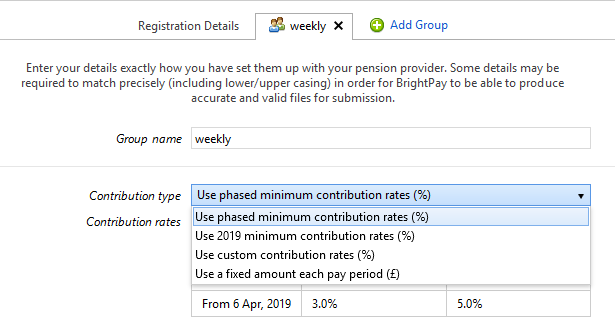 Please note: when entering your NEST pension scheme details in BrightPay, care should be taken that details entered in BrightPay match exactly to how they are set up in your NEST online account (taking into account upper and lower casing). This is to ensure that enrolment files and contribution files will upload successfully for you. b) Within Registration Details enter your employer reference in the field provided. This will have been given to you by NEST when you completed their setup process. c) On the next tab, enter the Name of your first group which you have set up with NEST. This must be entered to exactly match the group name entered in your NEST online account (taking into account upper and lower casing). f) If you have more than one group set up with your NEST (e.g. 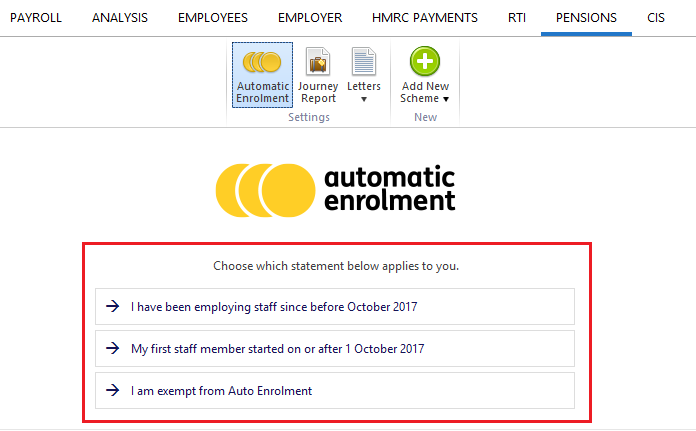 to cater for employees on a different pay frequency or employees with different contribution rates), click 'Add Group' and repeat steps c) to e). 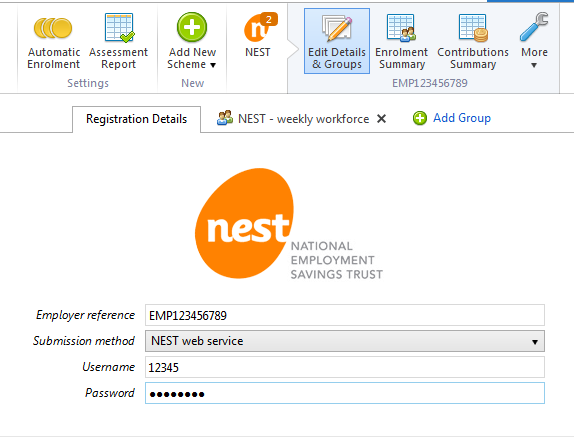 b) To enrol an eligible employee, simply select Enrol and choose your NEST group from the drop down menu. 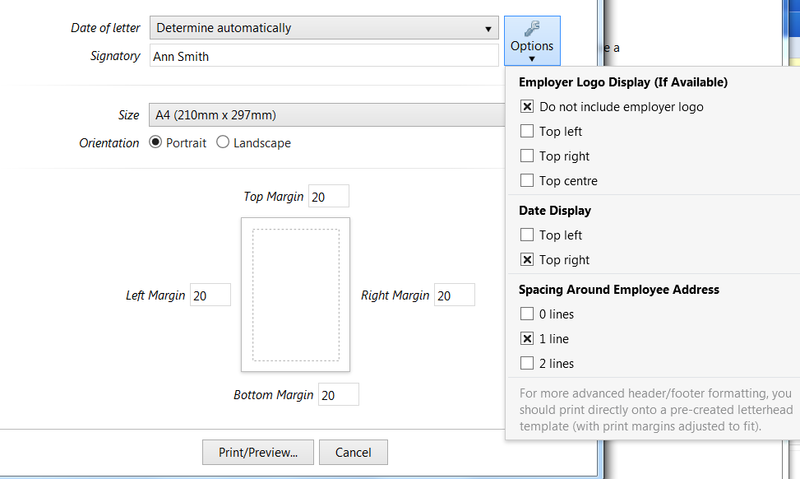 c) Tax Relief - NEST operate using the Relief at Source method of tax relief, therefore this option should be chosen from the drop down menu (unless you are aware that the employee is not entitled to tax relief). b) Under Edit Details & Groups, choose NEST Web Service as your submission method and enter your username and password (these are the same login details you use to access your NEST online account). 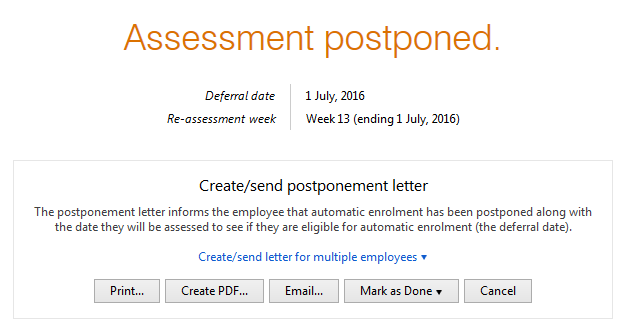 d) At step 1, select the employees you wish to include in your enrolment submission. Click Next. e) At step 2, enter additional employee details as required. Your payment source name must be entered in exactly the same way as it appears in your NEST online account. Click Next. 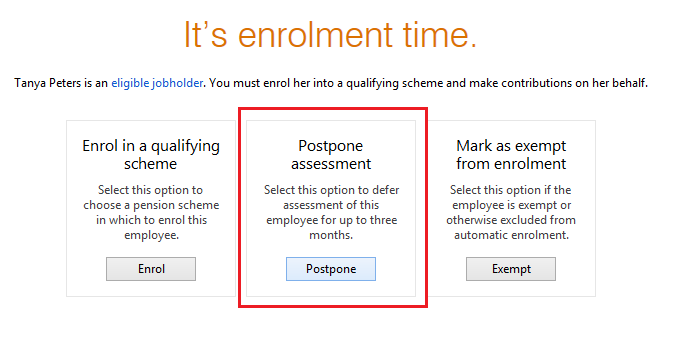 f) At step 3, simply click ‘Send Now’ to submit your enrolment submission to NEST. You will subsequently receive confirmation that NEST has received your submission on your enrolment summary (please allow some time to receive this confirmation - file submissions with more than 50 employees can take over 2 hours to be processed). Once your enrolment submission has been submitted, NEST also require you to submit a Contributions File every pay period thereon to report contributions made for each employee. 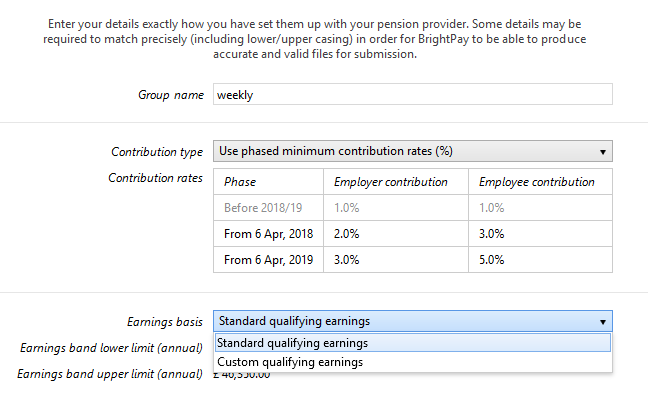 a) Within the Pensions utility, select Contributions Summary on the menu bar and click ‘Send submission’. b) Choose the period which you would like to send the submission for. c) Enter your NEST payment source and payment due date. Click Next. Please note: care should be taken that the payment source and payment due date are entered to exactly match the payment source and payment due date that are specified in your NEST online account (taking into account upper and lower casing). This is to ensure that your contribution files will upload successfully for you. 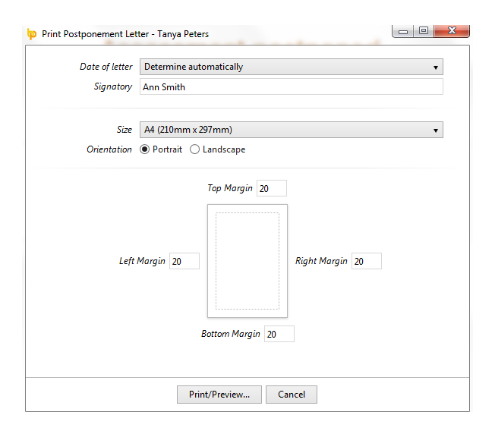 d) At step 2, select the employees you wish to include in the contributions file submission. Click Next. e) At step 3, for applicable employees, select a reason for partial or non-payment of contributions. For example, if an employee has left your employment, select 'Member has left your employment' to inform NEST to no longer expect contributions for this employee. Click Next. f) At step 4, simply click ‘Send Now’ to submit your contributions file submission directly into your NEST online account. You will receive confirmation back into BrightPay that NEST has successfully received your file submission (again, please allow some time to receive this confirmation). Please note: if you have set up a direct debit arrangement with NEST for the remittance of contributions, NEST will only collect the amount owing on each contribution schedule once you have logged into your NEST account and clicked to ‘Make payment’. When you click ‘Yes, make payment’, you are authorising NEST to immediately collect payment using your existing Direct Debit mandate. 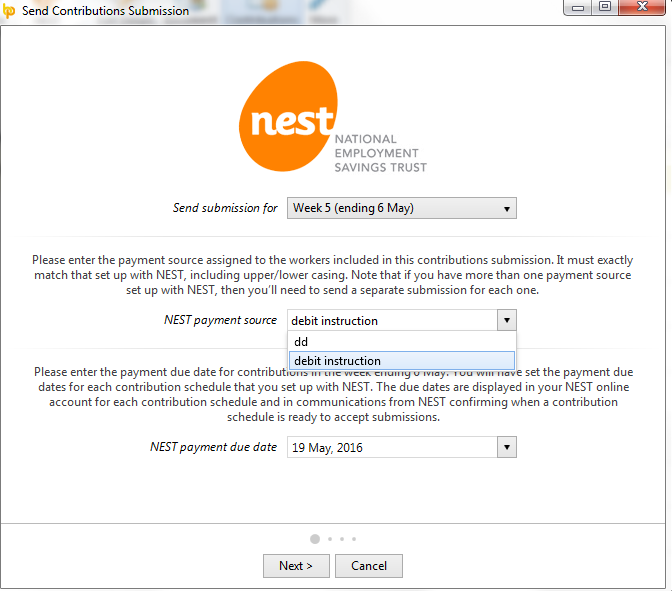 At the time of setting up your NEST account, you will have been asked to provide a 'payment due date' - this is the latest date for contributions to be paid over to NEST (i.e. for the payments to be cleared into NEST’s bank account) for the period they relate to. 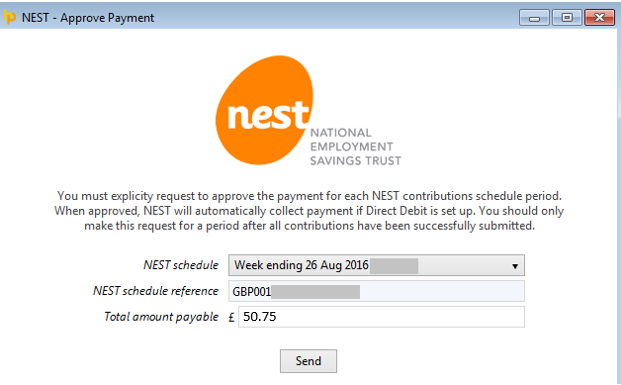 Each pay period, you must authorise NEST to take the payment required. This is also the case if you have chosen to make your payments to NEST using Direct Debit. As you submit your contributions files to NEST using BrightPay, the NEST schedule drop down menu will automatically populate with your contributions periods. Select the contributions period you wish to approve payment for - the NEST schedule reference field will automatically populate with the relevant reference for that contribution period, as well as the total amount payable. Click 'Send' when ready to submit the payment approval to NEST. Please note: if a contribution schedule was sent to NEST by other means, you will need to enter your schedule reference and amount payable manually. As an alternative to the above, payments can also be authorised within your NEST account. Within 'Contributions', click to 'Make Payment' on the contributions schedules due for payment.